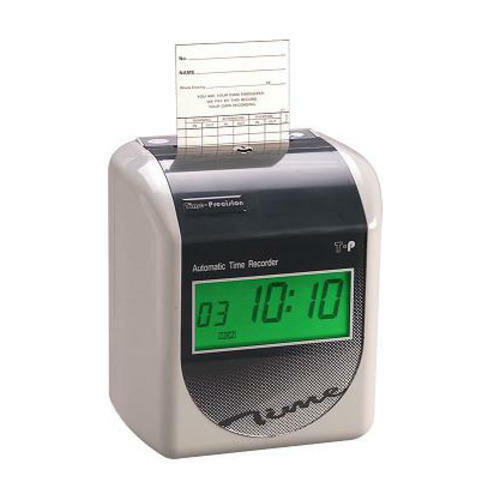 Quick and easy to set-up, simply set the date and time, then start clocking straight away. 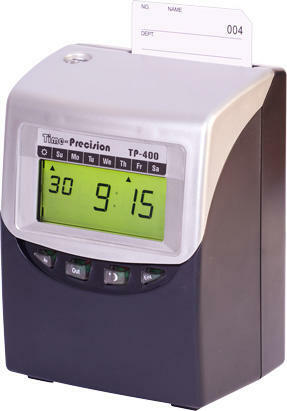 Time changes automatically for daylight saving and time, date and memory settings are stored in the event of a power cut. The unit can be fitted on a table or similar service, or mounted on the wall. It's tough ABS casing makes it suitable for the toughest of work environments, and the lockable case ensures against tampering. 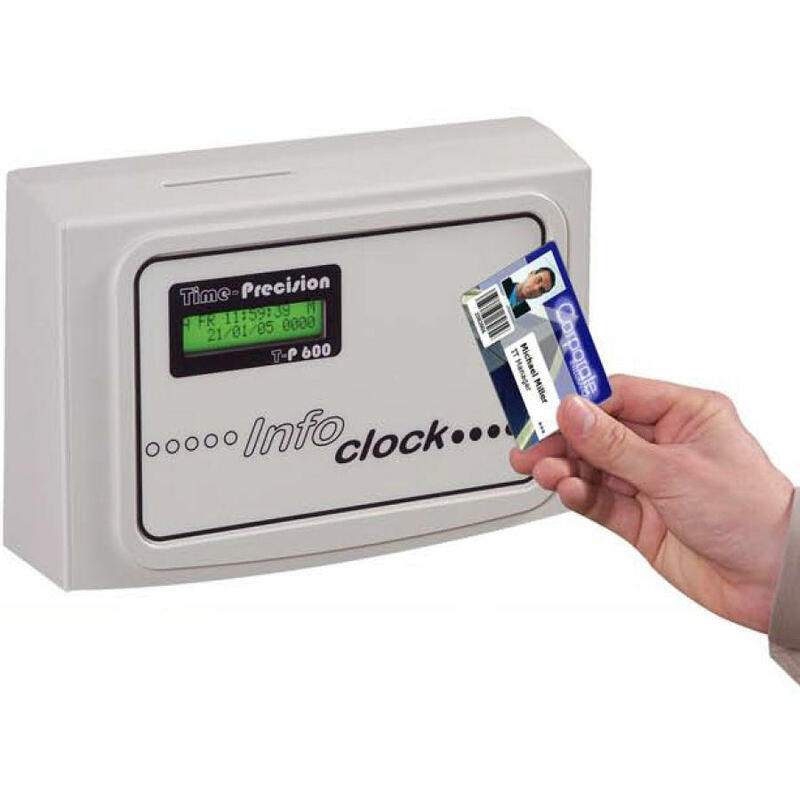 The TP-400 can calculate pay periods on a weekly, bi-weekly or monthly basis, and allows up to 62 clockings per employee per pay period / time card. 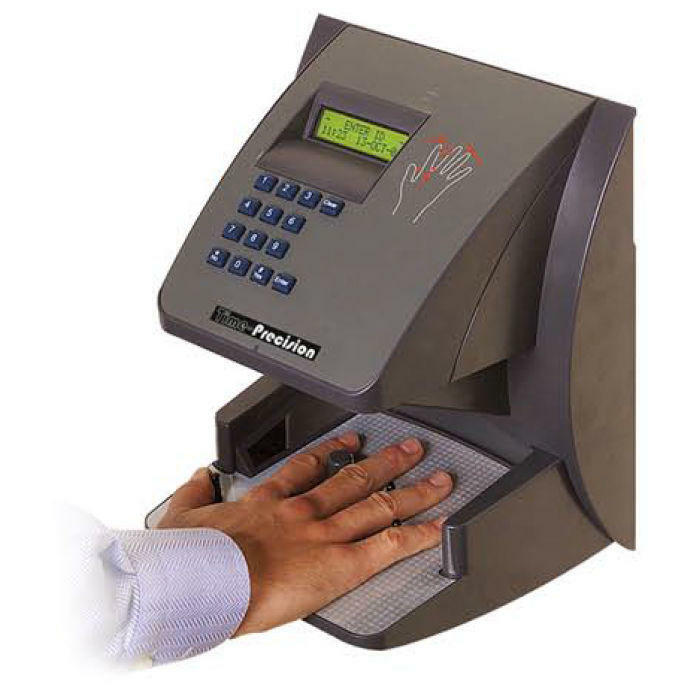 It has a 100 employee capacity and clocking in / out times can be rounded to the nearest 1, 5, 10, or 15 minutes. Output to siren for start / stop / breaks times etc.